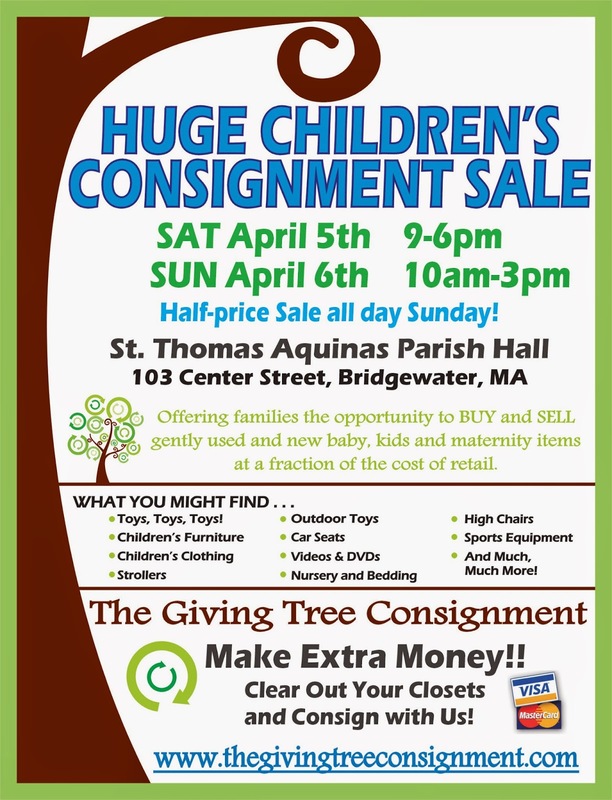 The Giving Tree Children's Consignment Sale is this weekend at St Thomas Aquinas Parish Hall in Bridgewater. There are a lot of fabulous deals on toys, Easter dresses and dress shirts for boys, clothes, strollers and much, much more. We hope to see you there!